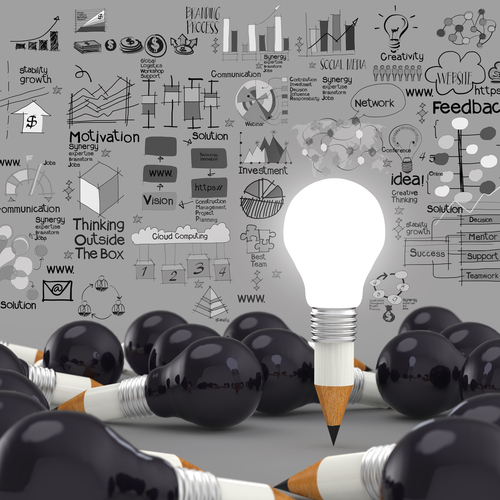 Enabling Services – what are they? 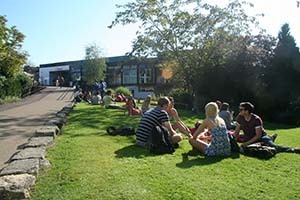 Sometimes all of the different things that are on offer from the university and SUSU can seem a little overwhelming, so we’re here to shed light on lots of essential parts of our community which can help you during your time in Southampton. This week – the Enabling Services. This December is Creative Industries Careers Season in SUSU, with a wide range of Your Skills workshops tailored for those who want to pursue a career in the creative sector. 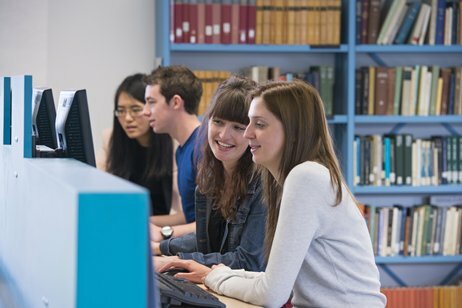 With workshops including PR skills, social media self promotion, video editing and many more, there will be plenty of chance to learn more about future careers and the skills necessary to get students there. 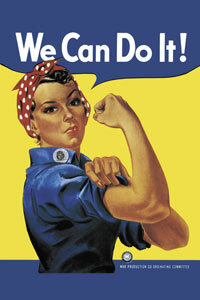 This years Inspiring Womens Event was a roaring success. With all in attendance vouching for its inspirational nature and stirring speakers, the event met its purpose and set the bar high for next year. 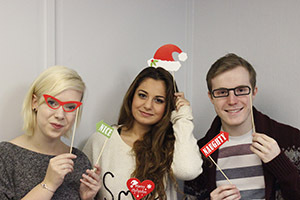 At this years Christmas light switch on, come and visit the SUSU ‘Awkward Family Photos’ style photo booth to take a Christmas photo and possibly win a John Lewis gift hamper and other goodies. Budding iPhoneographers and Instagram addicts can also tag us in their snaps from the event (our username is sususnaps) to be in with a chance of winning a prize for their photo. The last two weeks saw us welcome St Anne’s Catholic School pupil, Freya McManus to SUSU as part of her work experience placement. Here she shares how she found her time with us, including some of the weird and wonderful things she got up to! The student-run entertainment magazine, The Edge, has today (24.11.14) launched a brand new website. 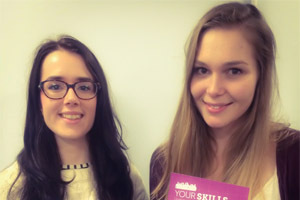 The magazine – which was originally an insert into fellow publication the Wessex Scene – has received a digital facelift by Online Manager Emily Mitchell, meaning that the website is more user friendly and aesthetically pleasing for the thousands of readers who visit each month. A million older people in the UK haven’t spoken to anyone for a month. At Christmas, an estimated 500,000 older people will be alone. 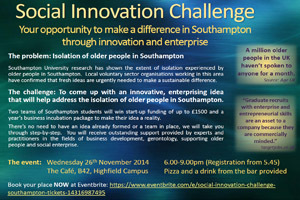 Southampton University research has shown the extent of isolation experienced by older people in Southampton. Local voluntary sector organisations working in this area have confirmed that fresh ideas are urgently needed to make a sustainable difference. 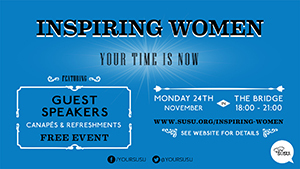 On Monday 24th November, The Bridge will host the 2014 Inspiring Women event. Come along for some engaging talks, Q&A, food and drink with some truly Inspiring Women who aim to encourage more women to get involved with elections and leadership roles. Last year’s event was fantastic, and this years is set to be too! The event will start at 6pm and end at 9pm with a raffle. Students who sign up in advance on the SUSU website will be eligible for a free glass of wine or bottle of beer at the event. 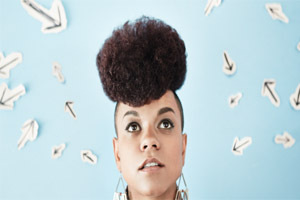 Monday the 24 November, as part of the Coffee House Sessions Tour, will see Kimberley Anne come to SUSU. South London artist Kimberly Anne is a unique breed. A cursory glance at her ever expanding Twitter profile shows a young lady not hugely interested in creating any sense of false mystique, preferring to breakdown any idea of a boundary between artist and fan. It’s made her a whole heap of new friends in the process. You’ve probably seen our jazzy Your Skills ads around campus – bright colours, retro photos, that sort of thing? We’re pleased to announce that we are now promoting our workshops on a platform that’s much more accessible for students: Facebook. The Your Skills Facebook page is now fully developed and we’ve created ‘Events’ for every one of our workshops for you to join so you can keep on top of any updates on workshops you’re interested in. The page will also remind you when deadlines for registering run near, so you don’t miss out!